Order gooseneck lighting to fit project specifications with the 12" Warehouse Shade Fixture. This all-aluminum gooseneck is commercial-grade and rated for outdoor use. 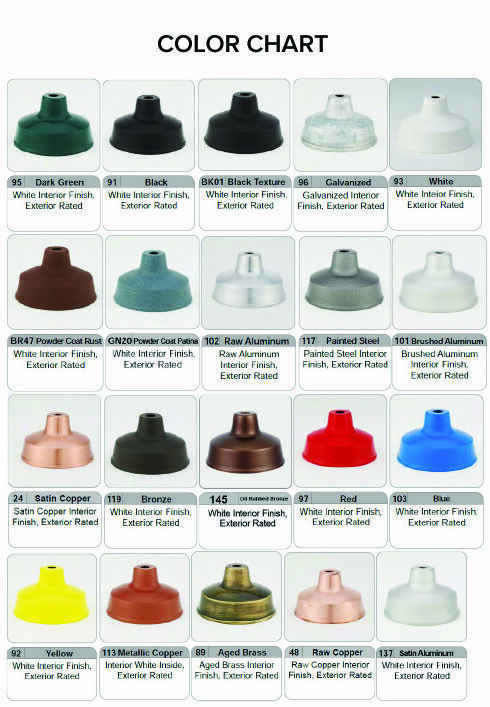 Customizable in a choice of 25 rust resistant powder coat colors. Standard lamping is incandescent; upgraded options include LED, compact fluorescent and HID lamping in a choice of metal halide or high pressure sodium. Please call for details; MH and HPS gooseneck lights may require different ballast options. Warehouse shade lights are attractive and functional storefront, sign and awning lighting. Each fixture has a sturdy mounting plate for walls, easy for installation to a 4" outdoor weather proof box or recessed octagon box. All parts are powder coated to match.